Golf views, sea views, high end community, and 9 minutes from Banus. Absolute top specs and excellent value on a 4000m2 frontline golf plot. You múst see the show house! Ready summer '16, four suites and almost 400m² of modern luxury living on an 875m2 plot. Sleek modern villas with dominant sea view in Villa Padierna. Delivery end 2016. What is your dream location and budget? Tell us what yoú want and we'll make you a fully personalized proposal! and it will be 20-30% cheaper than any other solution! Absolutely fixed price and absolutely no hassle. Discover the beautiful decoration of this fantastic family villa, minutes from Puerto Banus and all the top golf courses. Located in the exclusive and gated community of Sierra Blanca, with panoramic sea views. Sneak preview - contemporary turnkey villa project in La Zagaleta - P.O.A. In the luxurious gated community of Villa Padierna Resort. 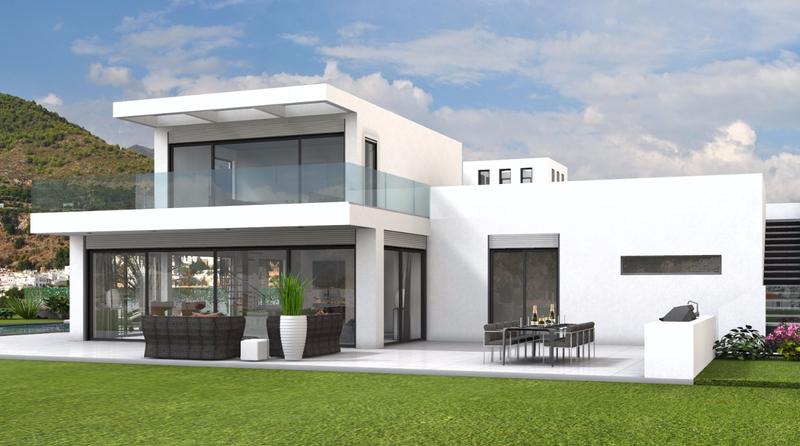 This off plan villa is situated in the most exclusive part of Nueva Andalucia near Los Naranjos and Las Brisas. Double plot in La Cerquilla. Visit the showhouse! 8 minutes east of Marbella, near the beaches of Los Monteros and Santa Clara Golf. Phase 1&2 sold out! Now launching phase 3. Small but good value villas.